Replace the safety net on your 15ft. Jump'Up 460 trampoline. The safety enclosure on your trampoline is one of the most important parts for the safety of its users. It prevents falling off the trampoline and breaks any eventual falls. If the net is beginning to wear, we recommend replacing it quickly to keep your trampoline safe. 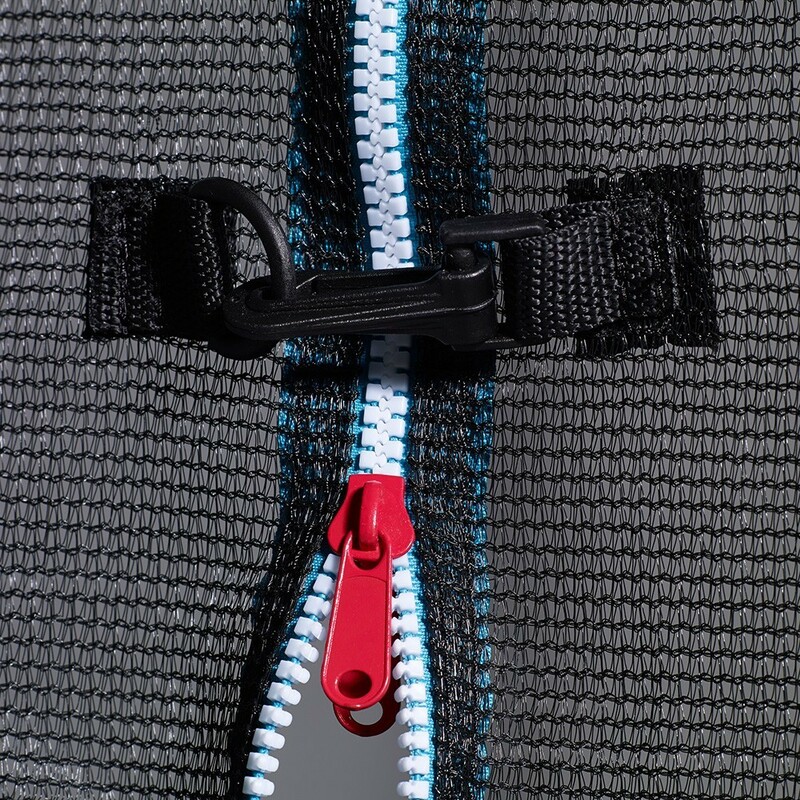 This spare part will allow you to replace just the textile part of your net. - This spare part is designed to replace the textile net from your 15ft. Jump 460 trampoline bought after March 2016. 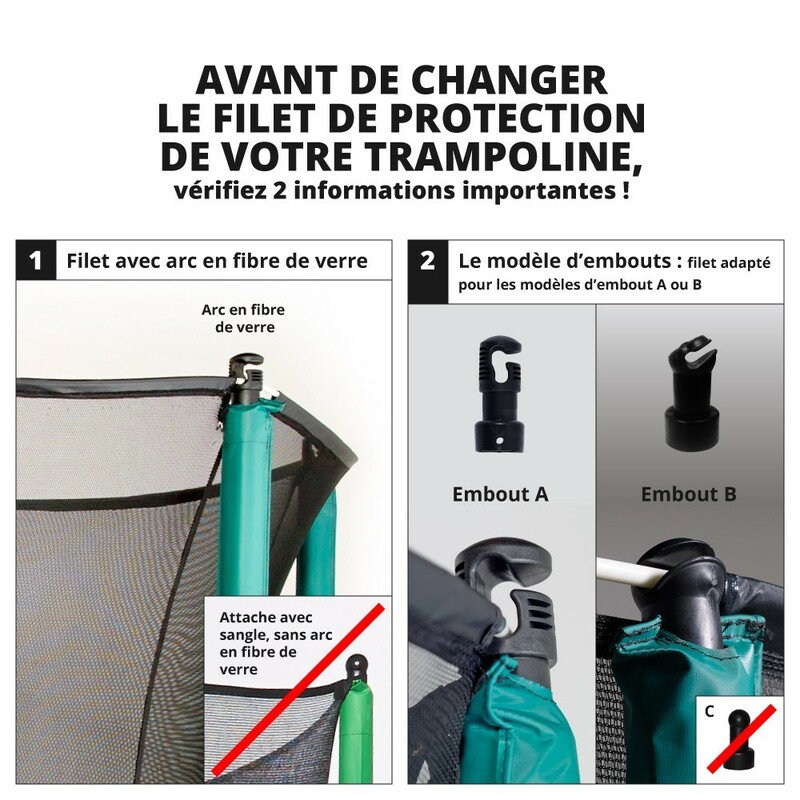 It is also suitable for trampolines from other brands that have the same technical features. 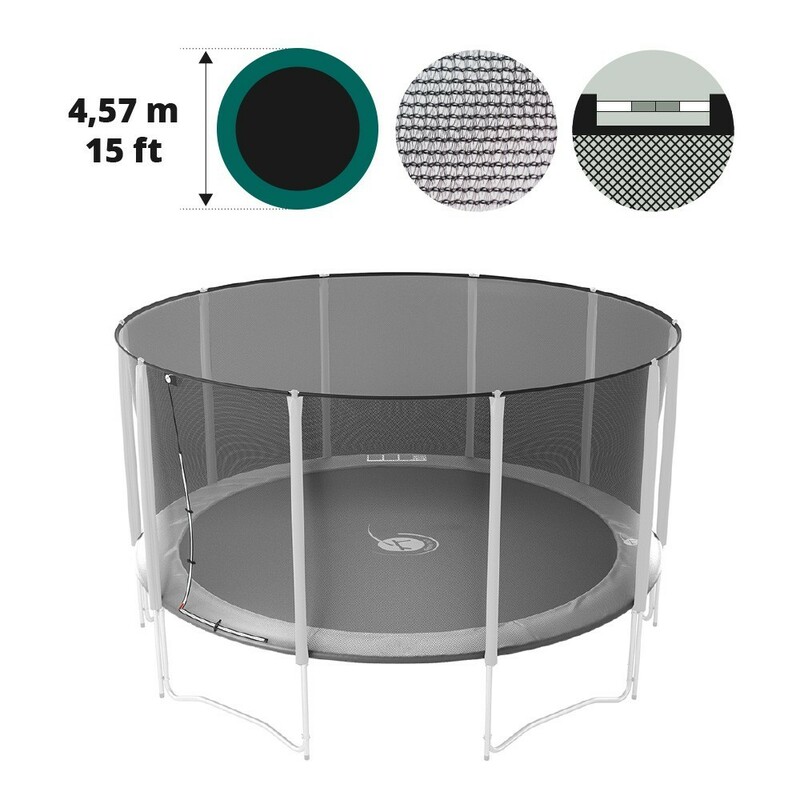 The trampoline must have an overall diameter of 4.57m and have 10 posts with caps that the net can be fixed to. 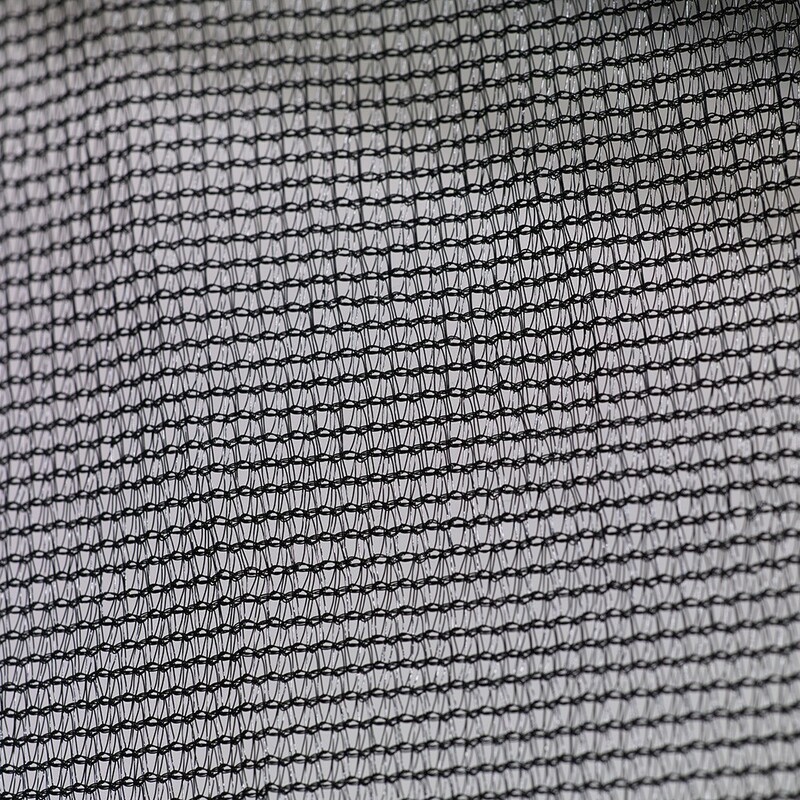 - The net is made from polyester, a fabric known to be very resilient and soft. Our net is solid and pleasant to touch. So that children don't get their fingers caught, the netting is braided very tightly. - The access to the trampoline is through a quick and easy opening found in the net. For additional security we have added clips on the outside of the door so that users cannot fall out of the trampoline. - The textile net is secured to the trampoline in two areas. The top of the net is held up at the net post caps via the fiberglass rods (sold separately) that are in the sheaths of the net. 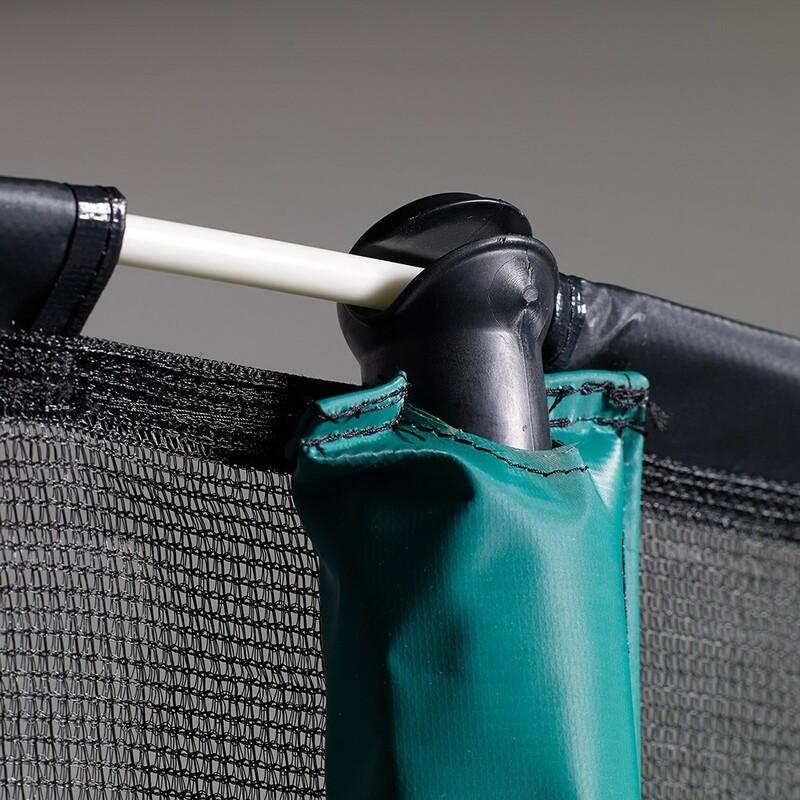 The bottom of the net is found under the trampoline and held by elastic straps with hooks that are attached to the hooks of the jumping mat.